How much time do your specialists spend looking for data, exporting and importing data, asking rig contractors about data availability and logging into multiple real-time data applications? PetroNOC manages this entire process for NOCs, ensuring your data is available when you need it, in the format required, and in the correct system, putting you in control. Our solutions are integrated and interoperable, letting you access all data from a single, easy-to-use site. This allows for fast decision-making and standardized data delivery from the rig site to the office and into the company network, applications and databases. What sets PetroNOC apart is our focus on maintaining operational uptime and ensuring data availability. Our technology provides an integrated solution based on the industry open standard WITSML. It reduces the time looking for information, and provides vertical integration through open access to the data required by technical applications and engineering workflows. This allows your engineers to choose the best tool for the job without being constrained by third-party software. Petrolink has a proven ability to collect, transport, store and visualize data from all providers, and can provide that data to third-party analysis tools in real-time using WITSML. 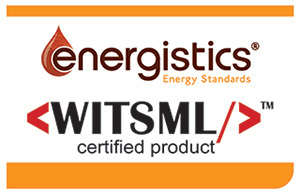 WITSML is the open standard for transmitting technical drilling data. Petrolink is a recognized leader in WITSML solutions with over 15 years of participation in both writing the standard and delivering key WITSML technologies and advancements.